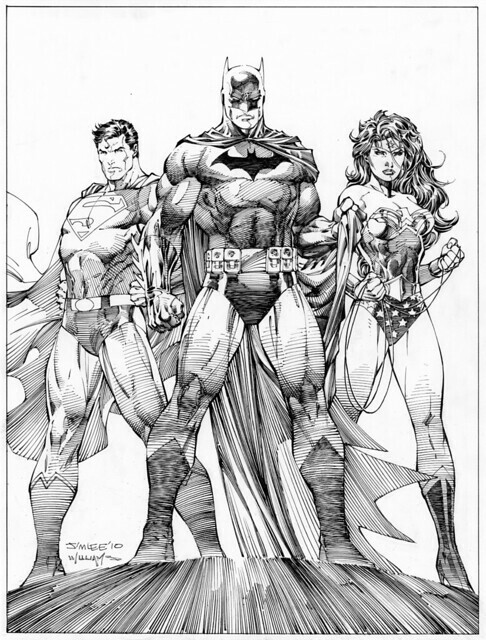 Jim Lee's Icons: The DC Comics & Wildstorm Art of Jim Lee book will be coming out this October. Here is a version of the cover that Lee and Scott Williams did, which was ultimately revised. It is a nifty and iconic cover! Lee and Williams are superb at drawing the big guns of the DC Universe. Thanks to Scott Williams for sharing this on his deviantART site. 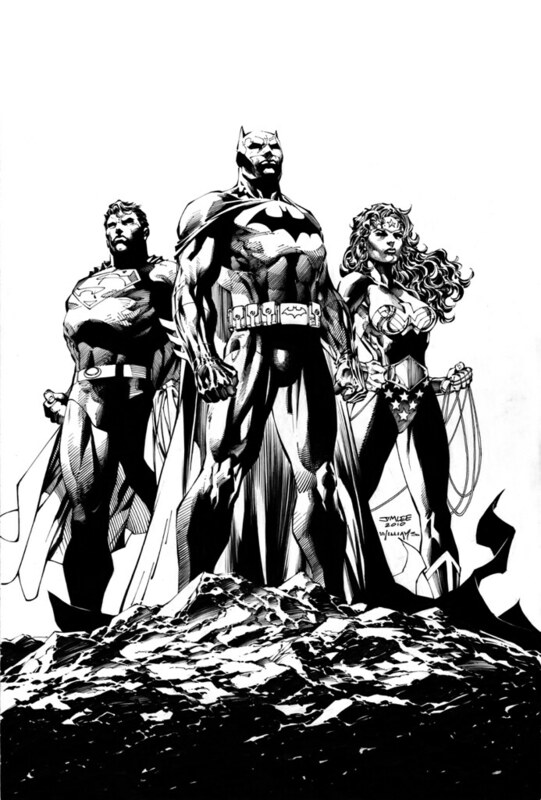 The final cover shows the DC Universe trinity as even more godlike, and dare I say it, Iconic. Shoulders hanging back, chests thrust forward, looking to the sky as if they have an epic destiny to fulfill. This retrospective book will also contain a brand new 70s era Legion of Super-Heroes story by Lee and Paul Levitz. 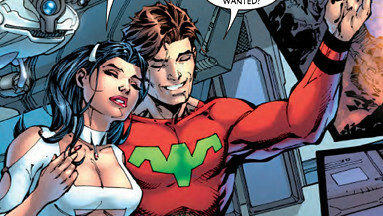 Yesterday, Lee twittered a tease, showing this panel with Ultra Boy and Phantom Girl. I am almost literally drooling at the mouth in anticipation for this and DC Universe Online. As a die hard Legion of Super-Heroes fan, as well as a Jim Lee fanatic, I've already pre-ordered this Icons from Amazon. . Nuff Said!